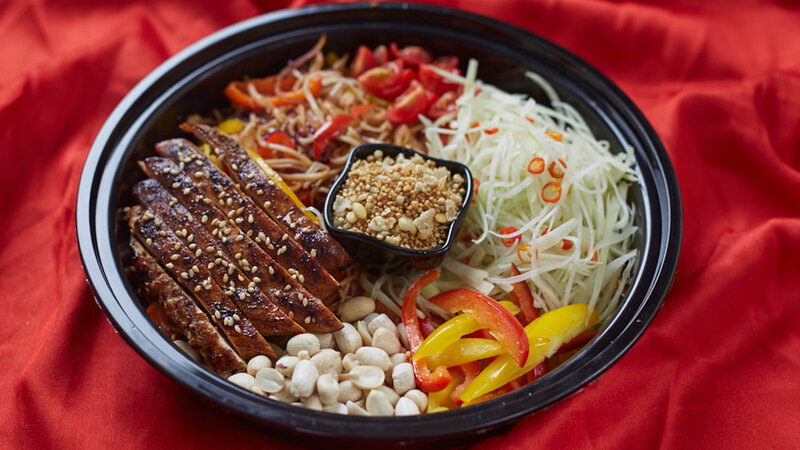 ﻿ "Indians Have a Palate For Spicy and Flavourful Food"
In an exclusive interview with Jay Goradia, Partner at Buddha Bowl talks about the idea of starting a pan Asian delivery biz. What was the whole idea coming with Buddha Bowl? Why the name Buddha Bowl? While we were researching for our kitchen, we knew we wanted to serve healthy food as that is the trend and the future, though at a very nascent stage. Buddha Bowl is an ancient food concept used by the Buddhist monks which has very simple preparations. We used that concept as the base and came up with our own recipes to suit the Indian palate; hence we also added authentic pan Asian curries. Buddha Bowl are our signature dishes and hence the name emerged Buddha Bowl. How much investment you have put in to come up with this venture? Is it bootstrapped? We have invested to the tunes of 35- 40 lac rupees in the project. I do not think that qualifies as bootstrapped. We have seen that over the years there are many ventures especially in online focusing on Asian cuisine. Why so? Indians have a palate for spicy and flavourful food. Hence, the Pan Asian cuisine has been thriving in India especially now that more and more people are travelling around the world. Quality ingredients for the cuisine are often available easily, there is a good market for Asian food and hence the growth. How do you keep your food fresh once it is delivered to the customers? How is packaging done? Each of the ingredients we use is fresh and all the dishes are prepared only minutes before the order is to be dispatched. Further we use these containers which maintain the temperature and freshness; they are BPA free microwave and Fridge friendly. Since, it is mention that your foods are organic and healthy. From where did you source the raw materials? We buy our vegetables from a company that procures them straight from the farmers and local markets hence every ingredient is straight from the farm to your plate, we believe in quality. Alongside this our quinoa and rice are also from supplier who provides Organic products. What is the reason that is forcing people to take organic route? Well the basic reason is education and awareness; people are growingly health conscious, individuals now understand the benefits of organic products and the disadvantages of preservatives, pre-cooked meals and sub-standard ingredients. In the last 5 years there are lots of Farmers Market, there are companies creating awareness for organic products and we're glad this revolution is finally taking place here. How do you maintain the nutritional balance of the food? To maintain the nutritional value firstly the ingredients that we use are natural and high quality vegetables and meat. Our bowls involve very minimal cooking processes. Most of the ingredients used are either raw or just blanched or pan- sautéed. None of our recipes involve heavy cooking like the Buddhist methods preach and that is how we manage to maintain a nutritional balance. Also, super food as a trend is turning big in India and we have seen you using few of them in your menu. What’s pushing this growth? Is it all about natural eating? Who is your target audience? How many orders do you get on average? What is the delivery area? We provide authentic recipes for Pan Asian food, our quantity per order is 20-25% more than regular portion sizes and our prices are very competitive to some of the best restaurants in town serving Pan Asian Food. We are targeting expats, corporate honchos and people who love to eat healthy food at a reasonable pricing. We are a two month old establishment and we are doing an average of 30 order a day and growing. We deliver in Bandra West and East till BKC, Khar, Santacruz and Mahim. We soon intend to start up a Kitchen in south Mumbai and have at least 3 in next 18 months and then moving to other cities.